We can deliver orders to most countries in the world. Goods are sent from our warehouse by courier, and delivered direct to your door (home or company address). Please check Shipping Countries to get more details. So if the product doesn't work, we'll help you send it back to our returns address. 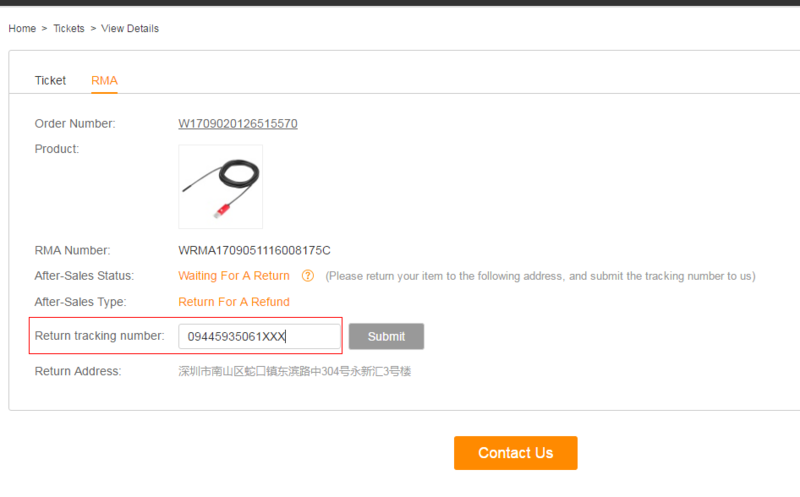 If you receive an item physically broken, please contact us immediately here https://support.Gearbest.com/ with clear pictures of the item its sku number and its package.We will open a claim with the shipper and offer a compensation accordingly.Please note: Once your package has been shipped out, any Shipping guarantee cannot be refunded to the customer, under any circumstances. If you choose to receive refunds into your GB wallet, you will earn the corresponding amount of GB points. This allows you to save even more money in future orders. For example, if you receive a $10 refund, you will earn 10 GB Points. 1.How to apply for a return (RMA) or aftersales services ? You can request a return by applying for an RMA (Return Merchandize Authorization) once the order is delivered. Please refer to the specific warranty time-frame for your product. 2.What if I have not applied for an RMA but a Customer Service agent offered me an after-sale solution, where can I check my RMA status? You can check R.M.A status in your account in the RMA list page. 3.I have selected my preferred RMA solution in “RMA Type”, will you follow my recommendation or offer alternatives? Our Customer Service will follow your recommendation as long as it is applicable to your case according to our warranty policy. 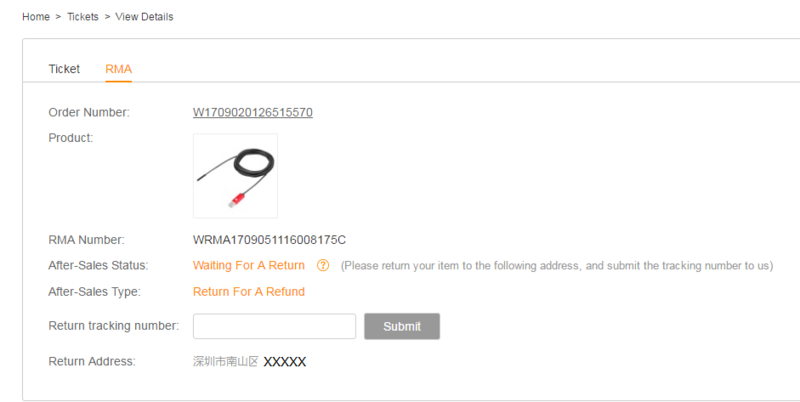 4.What if after an RMA has been been issued, the product finally works and I do not need to return the item anymore. What do to then? Please kindly inform our Customer Service via our Support Center. Our Customer Service will close the RMA application for you. 5.What if after an RMA has been been issued and I find out that there are more problems for other items in the same order? You can apply for several types of RMA within one order. However, we will resolve all after-sales issues one by one. In other words, we will resolve the previous problem first then the second one, next. If you need after sales service for different orders at the same time, please submit a separate RMA request for each order. 1.Log in your Gearbest account. 2.Select the order for which you need after-service in “ My Orders”. 3.Click “My Tickets”, and enter the After-Sales Application Page. 4.Click “Submit Tickets” and submit an After-Sales Application. 5.In “Question type” select the “ Returns & Exchange”, then choose the secondary reason based on the product issue. 6.Please select the corresponding “RMA Type” according to the solution you prefer. 7.Fill in the order number and click ”search”. The ordered item(s ) will appear. Then select the item for which you need a RMA. 8.Fill in the “ Subject” and explain the item’s problem in details in “Message”. 9.Upload pictures and/or a video displaying the item’s issue. This will allow our Customer Service team to confirm the problem resolve it to your satisfaction for you faster. 10.Please input your contact information along with the verification code,then click “submit”. HOW TO FOLLOW UP MY RMA STATUS? Once your RMA application has been submitted , the RMA Status will be “ RMA Application”. Customer Service will contact with you within 24 hours to verify the product’s problem and to provide with an after-sales solution. Please check your ticket in your Gearbest account. Once you have accepted our after-sales solution, our Customer Service will proceed with one of the following : refund ,exchange, repair or compensation (points). Our customer service will review your RMA application.If the item return is required ,the RMA status will be updated as “Waiting For A Return”. Our return address and RMA form will appear online for your to return the product. Please download and print the RMA form ,and put it in the package. 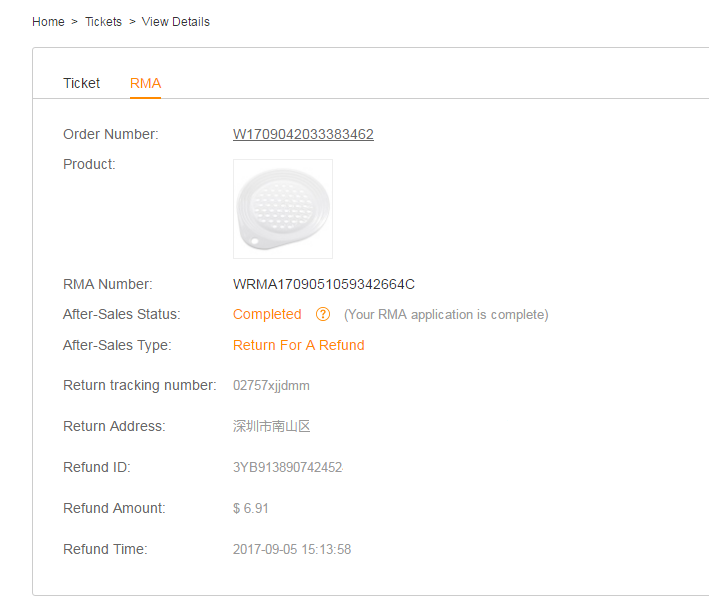 If you cannot print the RMA form, please add note in the package indicating the product name, order number, SKU number and the return reason. (This will allow us to identify your product and contact you when we received it). Returned item without any RMA form or note from you in the package will not be accepted. Fragile products should be packed securely with a protective material such as foam to avoid damage in the return process. Please return the item within 7 days after you have received RMA authorization to the indicated address online. Please fill in the tracking number online and click “submit” once you have shipped the item(s) back to us. This will enable us to track the progress of the packages return. Note: Please make sure the tracking number is right before submitting. If the tracking is incorrect, the package will not be found and nor received by Gearbest. The RMA status will become “Waiting To Receive Your Package” after you submit the tracking number. Gearbest will change the status to “RMA processing” once Gearbest receives and checks your returned package. Our Customer Service will arrange either exchange, refund, repair or compensation (points) according to what was agreed in the tickets. If no return is required, the RMA status will show“RMA processing” once our Customer Service has approved the RMA. The RMA status will be updated as “Completed” after the refund. Refund ID, Refund Amount and Refund time will be displayed so that customers can review easily their refund status in their payment account. The exchanged product tracking number and reshipment date will be indicated in your account once the reshipment has been arranged. The RMA will be updated as “Completed” after the compensation has been done. Customers can either see the updated points or coupons in your account within 24 hours. The RMA status will be “Closed” if the issue was resolved in the tickets or if the customers canceled the RMA application. 1.How long will it take to get a response once I apply for an RMA ? Customer Service will contact with you via Ticket system within 24 hours after the application. Please check the tickets in your Gearbest account. If the application does not need to be approved, the RMA status will be updated as “Processing” within 24 hours. 2.When do Ineed to return the item ? Customers should return the parcel within 7 days once the RMA status has been updated to “Waiting For A Return”. Otherwise the RMA application will be closed automatically. 3.When will the returned package be received? The exact length time depends both on the shipping methods that customers choose and the return address. 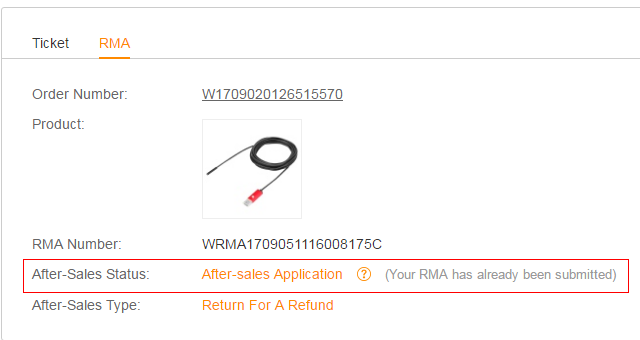 The RMA status will become “RMA Processing” when Gearbest has received your package. For Paypal Account: 48 hours. For Credit card Account: 10-14 business days. The exact length of time is dependent on your card issuing bank. In stock items :3-5 business days. Out of stock items :7-15 business days.